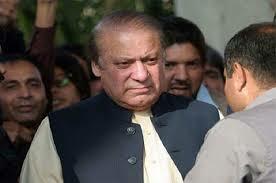 Lahore: Former Prime Minister Nawaz Sharif s troponin test determines that he did not suffer heart attack. Blood tests were conducted to profile his heart issues. Sharif has been undergoing various medical tests at the Services Hospital in Lahore to ascertain severity of different diseases he has been suffering from. Besides, he also underwent CT scan and ultrasound to examine the level of his kidney problem. The tests found stones in his left kidney. A re-examination of his blood samples in the Jinnah Hospital determined that he has been facing earlier heart issues and not symptoms related to heart attack. He was shifted to the hospital from the Kot Lakhpat Jail. A six-member board of doctors from the Services Institute of Medical Sciences (SIMS) has been conducting his medical procedures.